How Does Solstice East Residential Treatment Center Help Vermont Teens Find Success? 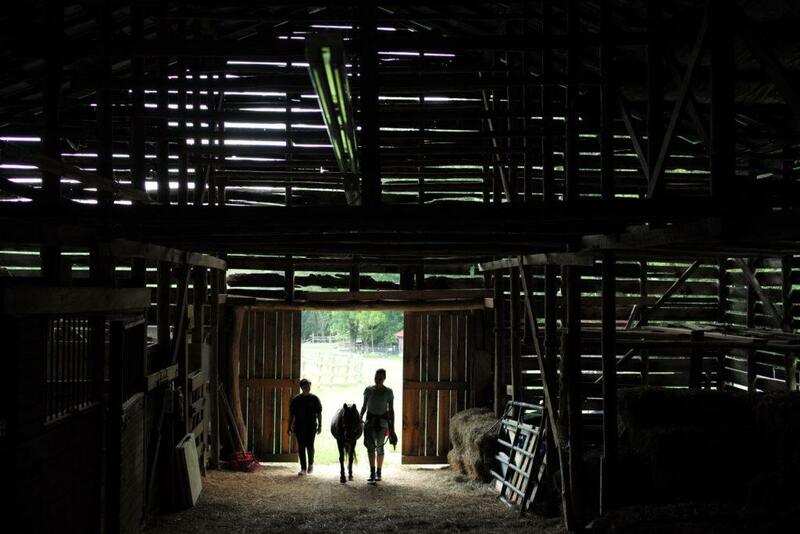 Solstice East has helped many Vermont teens and their families realize successful outcomes through a variety of therapeutic techniques and principles. At Solstice East, we designed our residential treatment center for Vermont teens to feel as comfortable and safe as possible. The milieu, also known as the structured environment of our program, was created for the purpose of designing a close knit community where every aspect of the program is designed to therapeutically benefit students. 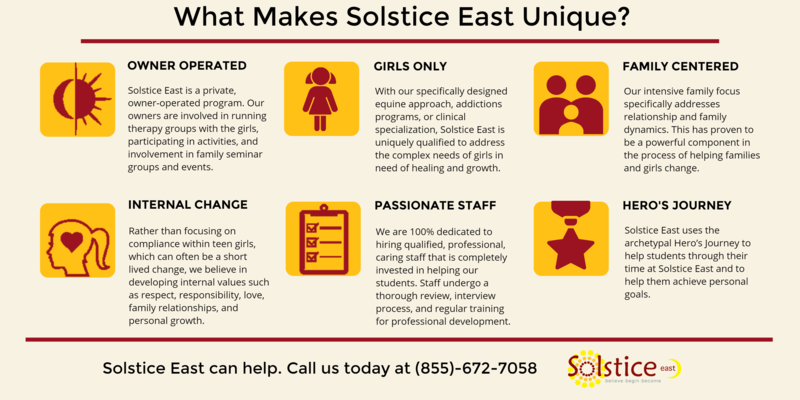 At Solstice East, we help teen girls from Vermont struggling with trauma and addictive behaviors through innovative therapeutic techniques such as EMDR, Trauma Focused Cognitive Behavioral Therapy, and Equine Assisted Psychotherapy. These therapeutic methods are an important aspect of our holistic approach to therapy. As a residential treatment center for Vermont teens, Solstice East provides accredited academics to all students. Every student receives an individualized academic plan designed specifically to meet their own specific academic needs. Small class sizes and personalized support help students from Vermont see academic gains throughout their time at Solstice East. Our academic program also helps to ensure that students are in excellent academic standing upon their return to a traditional school environment. Solstice East is a residential treatment center Vermont families can trust. Solstice East helps teen girls ages 14-18 struggling with emotional and behavioral challenges such as trauma, depression, and attachment. 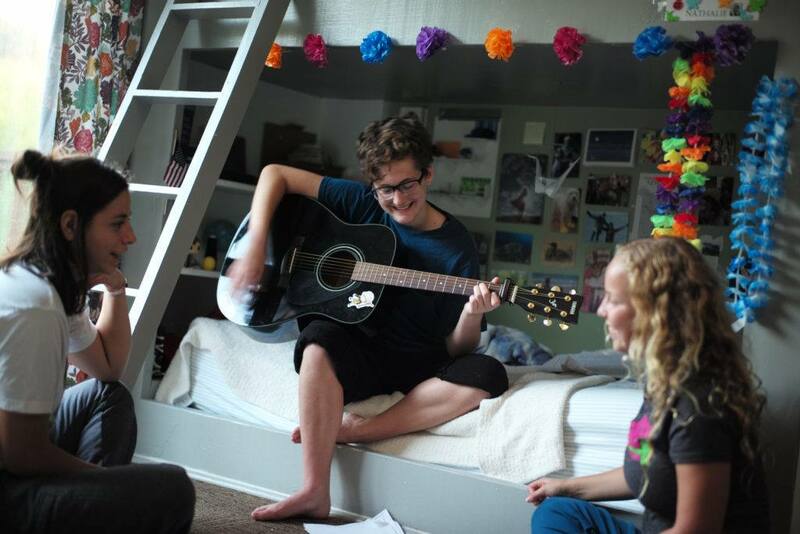 Utilizing evidence based therapeutic techniques combined with accredited academics, Solstice East has helped many families from Vermont rebuild and strengthen relationships with their struggling teen. Our residential treatment center specializes in helping teen girls from Vermont through programming specifically designed to help young girls in this age group. Every aspect of the residential treatment center environment was built with the specific needs of teen girls in mind. Although not located in Vermont, Solstice East has helped many families from Vermont achieve lasting success. Often, a removal from their everyday environment can help teens focus solely on their healing journey. Solstice East is located in North Carolina, just outside of Asheville. It is surrounded by the beautiful Appalachian mountains. The scenic beauty of our campus and its surrounding area allows for a serene environment for young girls to achieve personal growth. As a residential treatment center helping teens from Vermont find lasting success, Solstice East takes a holistic approach to therapy. At Solstice East, instead of focusing on specific problem areas within teens, we focus on treating the whole person – mind, body and spirit. For more information about getting help for your daughter from Vermont at our residential treatment center, please call (855) 672-7058 to speak to one of our admissions team members.